The new AUTUMN (or FALL if you are in the US!) issue of Creative Steps is packed with more than 65 fun seasonal activity ideas to encourage learning through creative play. Including dozens of fun activities covering Halloween, autumn inspired makes, early learning, Fireworks Night, Diwali, Animal Magic, Sunny Spain, Chocolate Crafts, plus loads of Christmas cards, decorations & gifts to make & much more! Each activity is designed to encourage learning through creative play, supporting the EYFS and KS1/KS2, with many of the projects making use of recycled materials – perfect for anyone caring for children from 0 to 11 years old. Ideal for childminders, nursery settings, pre-schools & playgroups, homeschoolers, primary school teachers, after school clubs, Guiding leaders…parents & grandparents. 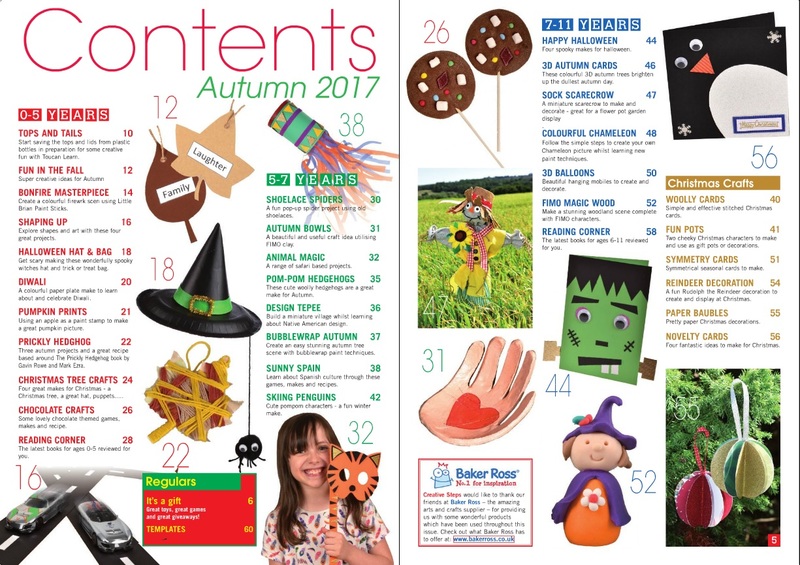 PLUS: Don’t miss the £100’s of fabulous toys, books and resources to be won in this issue in our free to enter competitions – including your chance to win fantastic Drumond Park games ‘bundles’! Take a peek at our previous issues of creative steps! Sign up now to receive special offers, top tips and competitions! Free sample project instructions and all the templates from the current issue here! 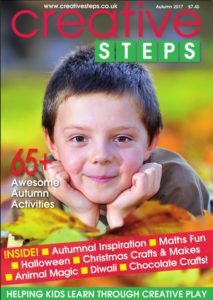 Creative Steps is published by Bubbles Publishing Ltd. Copyright © 2019 Creative Steps. All rights reserved.